Lina Finda is a research scientist at Ifakara Health Institute. She received her BSc in Biochemistry and Biology/Anthropology from Western Washington University (USA) in 2010, and in 2014 received a Masters of Public Health with dual concentrations in Maternal and Child Health and Health Education and Promotion, from Tulane School of Public Health and Tropical Medicine (USA). Ms. Finda is currently overseeing two projects; one is to reassess the intensity of malaria transmission in Ifakara area, and another on monitoring the magnitude and drivers of the residual malaria transmission in Tanzania and Burkina Faso. This project involves studying and monitoring two key components: human behaviours, knowledge, and perceptions regarding malaria transmission; and mosquito densities, behaviours and resistance to the current prevention tools. Results from this project will improve our understanding of residual malaria transmission dynamics in Africa and in identifying the main environmental and anthropological factors associated with the residual exposure. 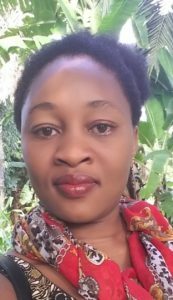 Alongside her role as a research scientist, Ms. Finda works as a liaison and disseminator between the Ifakara Health Institute, Ifakara office, and its surrounding community. Ms Finda identifies her research as a means for big societal impact and a opportunity to share professional and educational knowledge learnt with future generations.